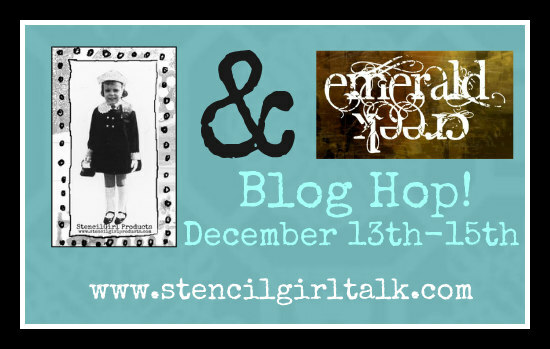 StencilGirl Talk: StencilGirl & Emerald Creek Blog Hop - Day 1! 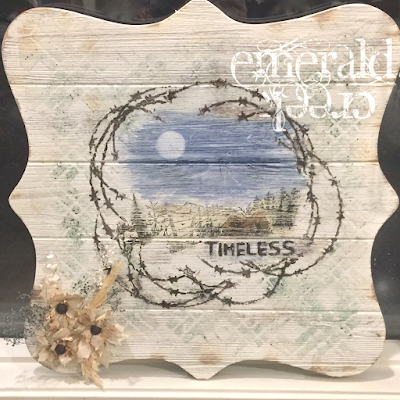 StencilGirl & Emerald Creek Blog Hop - Day 1! 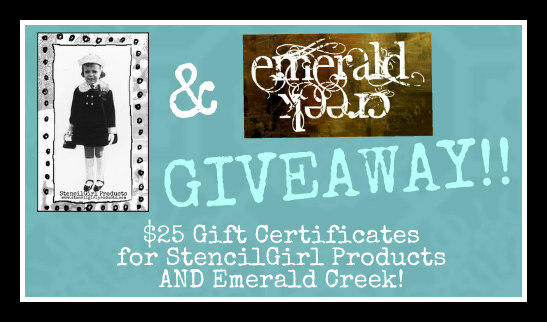 Emerald Creek products and StencilGirl stencils! 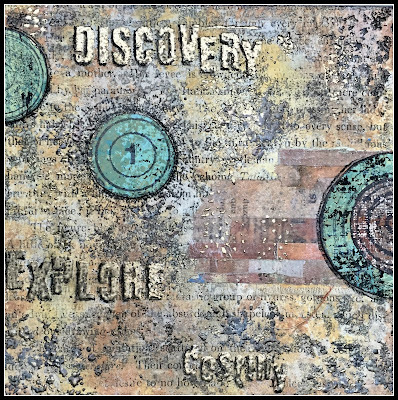 Here is a peek at Seth Apter's amazing artwork created with his StencilGirl designs! Go to his blog post HERE to see it all! 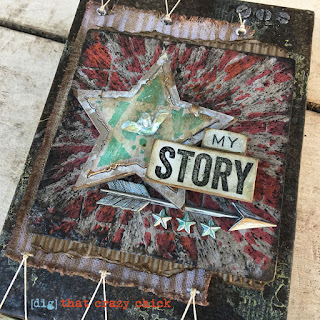 Mary Beth Shaw has created this gorgeous art journal page! See her inspiring video tutorial HERE! Kim Evans has made this exquisite artwork! See more on her post HERE! 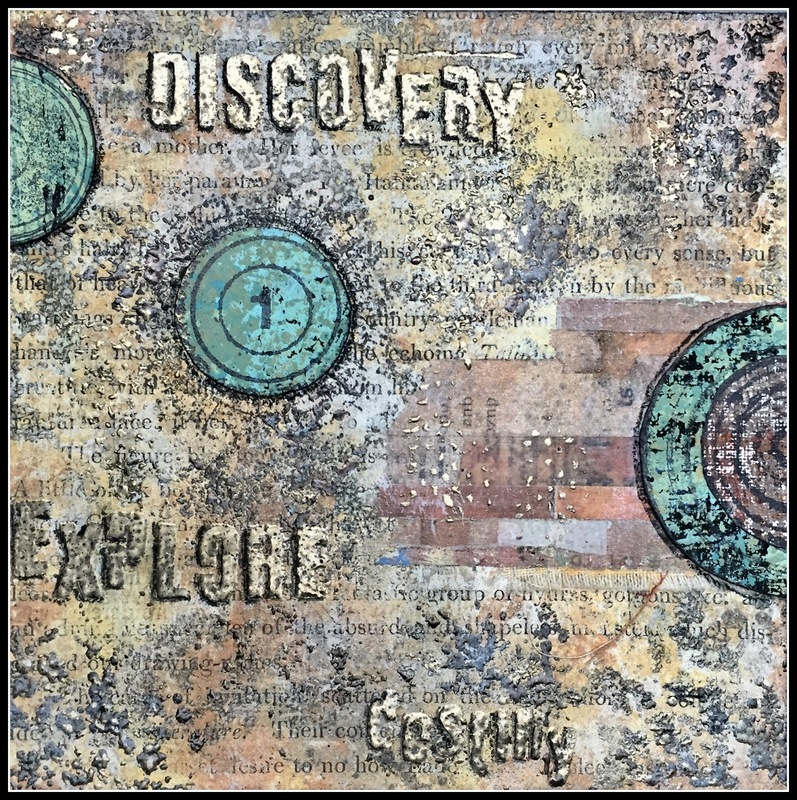 We love all the layers in Vicki Evans' piece! Beautiful piece!! I hope I win! Thank you for donating it as a prize. I just love the idea or using embossing powders through stencils. I will definitely bring out my old ones and hope they work! Wow! Pick me. Pick me. Pick Me! And thank you. This is such an amazing blog hop! Loving all the art and technique tutorials! awesome pieces, would love to win! Totally loving these powders and the embossing in the journal! janisgraham (at) yahoo (dot com). Today's projects are beautiful and Seth's artwork is stunning, as always! Thanks for the chance to win! Today's projects are so inspirational, and adds to my need to be creative. Thanks so much for this Blog Hop! ALl of the project's are so unique and beautiful. I love the pink in Mary Beth's and the embossing powder in Seth's. 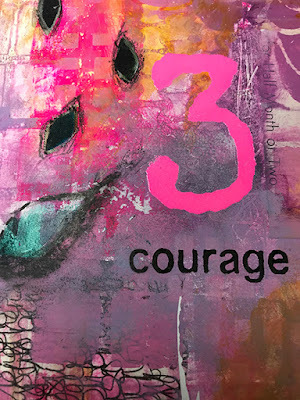 Thank you for sharing these ideas for using my stencils in new ways! The giveaway is a bonus! These artists have shown us how to make some amazing pieces. My head is spinning with possibilities! These are all fantastic projects! I really enjoyed seeing them and reading about them. Thanks for a great hop and giveaway!